﻿ Alloy 600 Metal Gasket, Inconel 600 Spiral Wound Gasket Exporter. ASTM B564 Octagonal Gasket Manufacturer, Inconel 600 O Ring Gasket Exporter, Alloy 600 Grooved Gaskets Supplier In Worldwide. We, at Amco Metals, through continuous efforts and quality control have managed to create a quality product portfolio. We service our customers a premium customer experience, also assisting them to choose a suitable products and goods for their industry. We are an ISO 9001: 2015 certified company, dedicated in delivering high quality products. 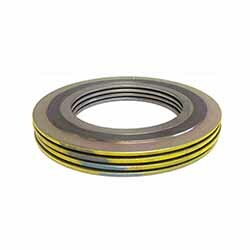 We are a manufacturer, trader, stockiest, supplier and exporter of Inconel 600 Gaskets which have excellent mechanical traits with high strength, weldability and corrosion resistance as well as the behaviour to function under a range of different temperature services. 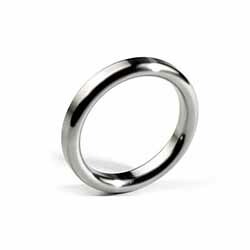 Our Inconel 600 Octogonal Gaskets are resistant to high temperatures and chloride stress corrosion cracking beside giving a better sealing assurance for flanges. We also deliver Inconel 600 Insulation Gaskets kit which protects a flange set from cathodic corrosion. We also specialise in Inconel 600 Graphite filler Gaskets. We study the market and deliver customizable products that meet the demands and trends perfectly. We have been in the industry for 25 years with our wide range of products and services. 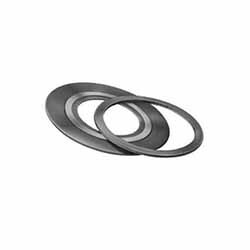 Alloy 600 Ring Gaskets Manufacturer, Inconel 600 Spiral Wound Gasket Exporter, Inconel 600 RX Gaskets Supplier In India. Croatia, United States, Tibet, Taiwan, Qatar, Belgium, Japan, Venezuela, Vietnam, Thailand, Kuwait, Iran, South Africa, Australia, Belarus, Iran, Lebanon, Poland, Pakistan, Zimbabwe, Costa Rica, Jordan, Norway, India, Philippines, Indonesia, Trinidad & Tobago,Tunisia, Ghana, Chile, Mongolia, Puerto Rico, Nepal, Azerbaijan, Libya, Slovakia, Singapore, Poland, Mexico, France, Sri Lanka, Afghanistan, Morocco, New Zealand, Germany, Brazil, Sweden, United Arab Emirates, Switzerland, Oman, Ecuador, Peru, Saudi Arabia, Gabon, Greece, Gambia, Iraq, Kenya, Estonia, Canada, Denmark, Angola, Yemen, Colombia, Ireland, Czech Republic, Macau, Algeria, Bulgaria, Romania, Serbia, Finland, Nigeria, Egypt, Russia, Bangladesh, Hungary, Hong Kong, Malaysia, Israel, Bahrain, Spain, Bhutan, Bolivia, Netherlands, Chile, Ukraine, Argentina, China, Nigeria, Italy, Kazakhstan, Mexico, United Kingdom, Austria, South Korea, Portugal, Namibia, Turkey, Lithuania. Mexico City, Montreal, Karachi, Ranchi, Noida, Vadodara, Mumbai, Faridabad, Milan, Manama, New York, Pune, Riyadh, Chennai, Granada, Gurgaon, Bhopal, Howrah, New Delhi, Los Angeles, Jeddah, Kanpur, Nagpur, Seoul, Istanbul, Al Jubail, Baroda, Thane, La Victoria, Ho Chi Minh City, Thiruvananthapuram, Courbevoie, Muscat, Melbourne, Surat, Dallas, Kuwait City, Toronto, Al Khobar, Jakarta, Lahore, Sharjah, Lagos, Dubai, Perth, Visakhapatnam, Calgary, Abu Dhabi, Port-of-Spain, Navi Mumbai, Haryana, Ahvaz, Hyderabad, Nashik, Cairo, Bengaluru, Ulsan, Kolkata, Houston, Sydney, Jaipur, London, Petaling Jaya, Indore, Rajkot, Secunderabad, Madrid, Doha, Rio de Janeiro, Gimhae-si, Ahmedabad, Vung Tau, Geoje-si, Caracas, Edmonton, Atyrau, Pimpri-Chinchwad, Brisbane, Aberdeen, Moscow, Kuala Lumpur, Ankara, Ernakulam, Jamshedpur, Busan, Singapore, Coimbatore, Bogota, Algiers, Tehran, Chandigarh, Ludhiana, Santiago, Dammam, Hong Kong, Chiyoda, Hanoi, Bangkok, Colombo.